Anchorage, Alaska, is located in Anchorage County and lies 1434 miles northwest of Seattle, Washington. Anchorage has a population of 260,283. Its residents enjoy outdoor activities like kayaking through Prince William Sound, fly-fishing, skiing, and hiking and a relatively mild climate. Anchorage is a historical and bustling city that serves as the transportation, banking, and business center of the state. Notable structures include historic buildings such as Anchorageís City Hall, built in 1936, as well as the 4th Avenue Theatre, an art deco style building dating from 1947 with stunning floor to ceiling bronze interior murals. Anchorage, incorporated in 1920, is a relatively young city, and homes built in the 1950s almost enjoy historic status. 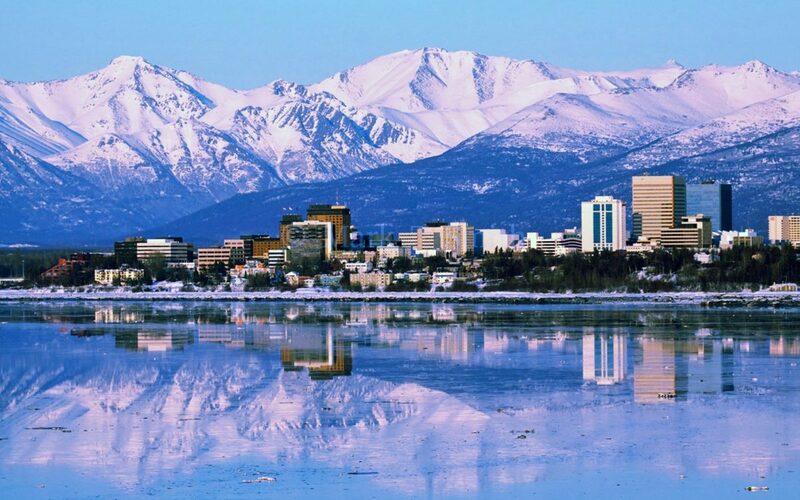 Nevertheless, the cityís vibrancy has earned Anchorage the reputation as the new ëiní city for travelers to Alaska as well as new residents, who come for its excellent transportation system, mild weather, and central location. Anchorage properties pool is 94,822 residential properties including Anchorage new homes. The median age of real estate in Anchorage is 1977. The average Household size is 3.19 people. 4% are one bedroom homes, 19% are 2 bedroom homes, 46% are 3 bedroom homes, 24% are 4 bedroom homes, and 5% are 5+ bedroom homes. Anchorage Real estate Tax: Median Real Estate Taxes (2000) were $2,523 comparing to 1999 Median Family income $ 63,682. Compare to USA median yearly Real Estate Tax $1,300 and USA median Family Income $42,000 (1999). Anchorage School District: Children make up 29.1% of Anchorage population. Anchorage has 75,871 under 18 years old residents, or 0.58 kids per one worker, or 0.8 kids per one household. Most residents of this city have come from elsewhere in the United States. Many came to work in the oil fields. Alaskan Native peoples comprise about 8% of the population. The city also has a growing population of Asian and Hispanic residents. There are 21809.06 or 23% one person households, 30343.04 or 32% two person households, and 17067.96 or 18% three person households in Anchorage, Alaska. Median residents age is 32.4, Senior citizens (65+) make up 14,242 or 5.5%% of Anchorage population. There are 131,228 workers (over 16 years of age) in Anchorage. Of these, 89% drive to work. Approximately 2.02% of workers in Anchorage take public transportation. An estimated 2.66% walk to work.